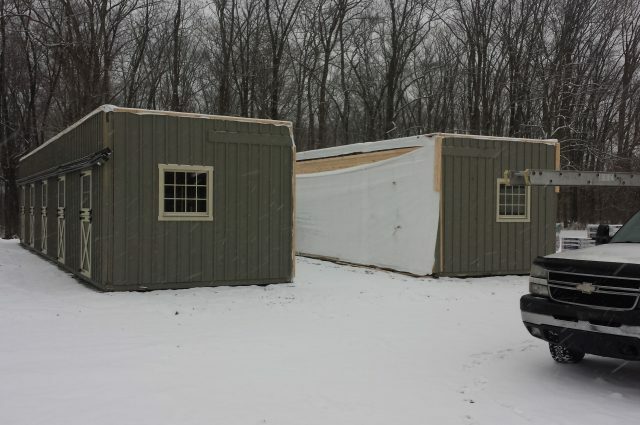 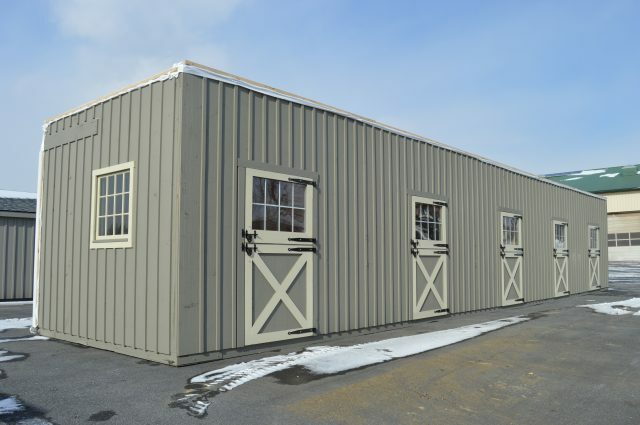 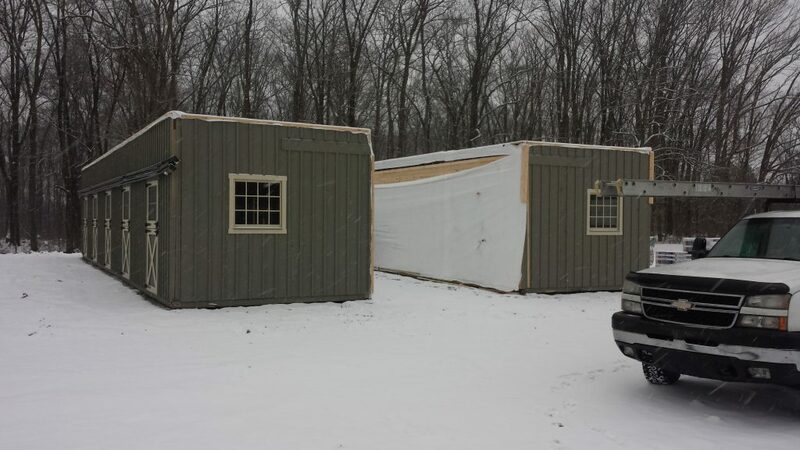 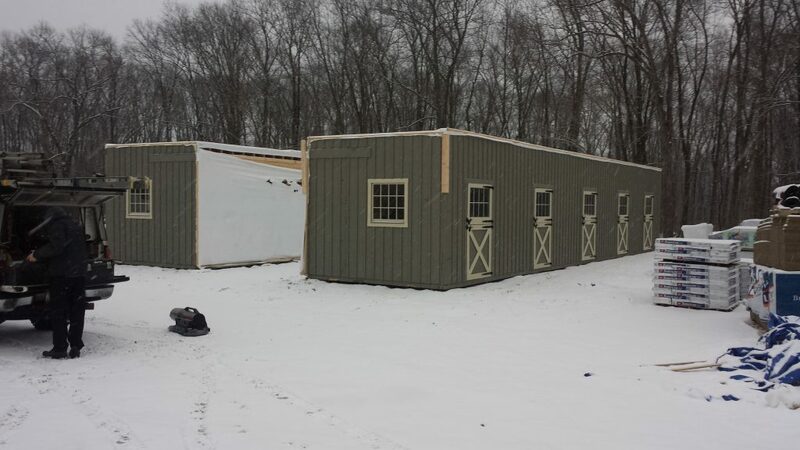 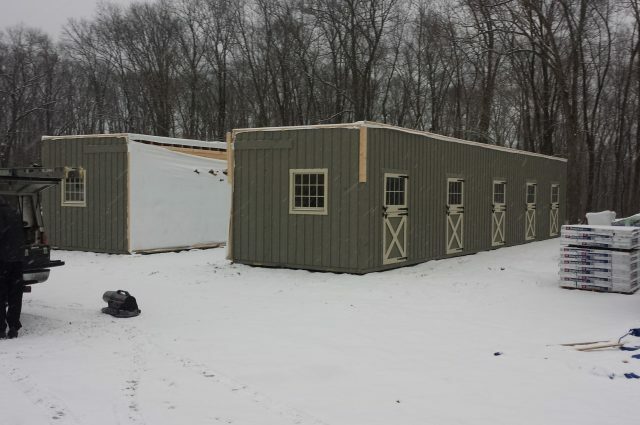 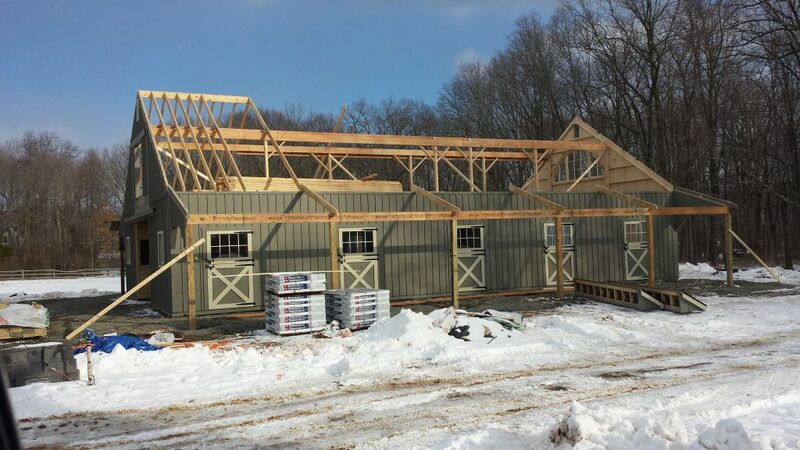 This High Country Modular Barn is 36’x60’x10′ and is completed with two 8′ Lean-To’s. 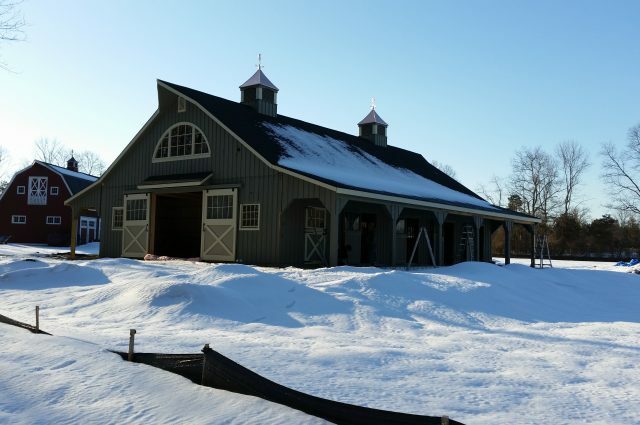 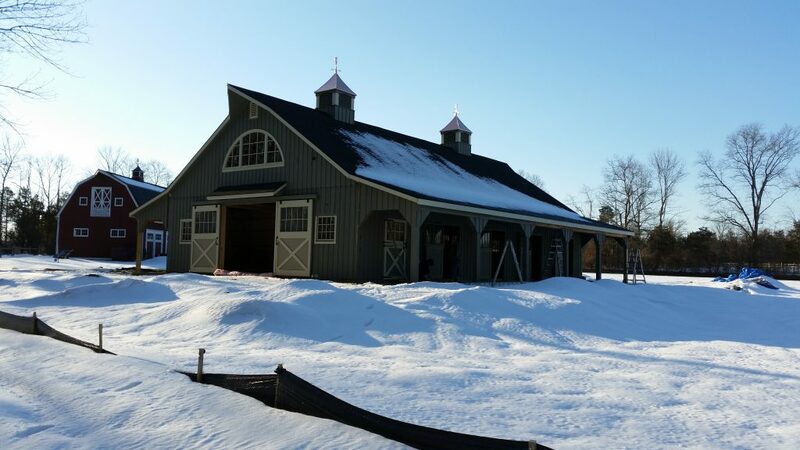 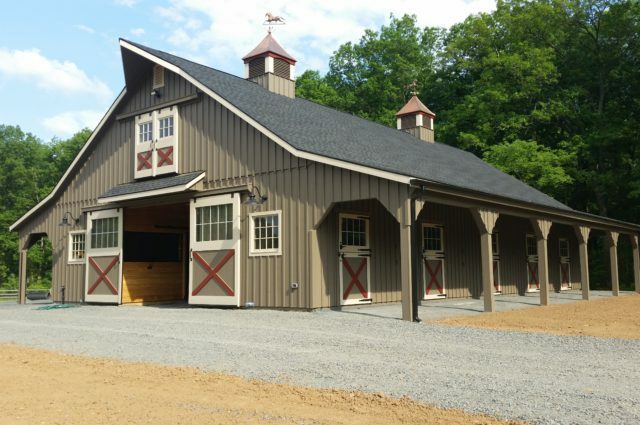 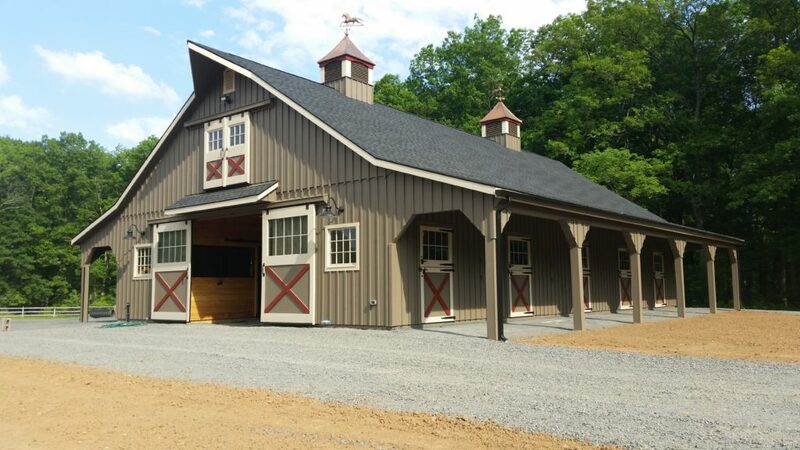 Featuring four stalls, two open storage spaces, a grooming stall, tack room, feed room, and closet, this custom built barn not only met, but exceeded our client’s expectations! 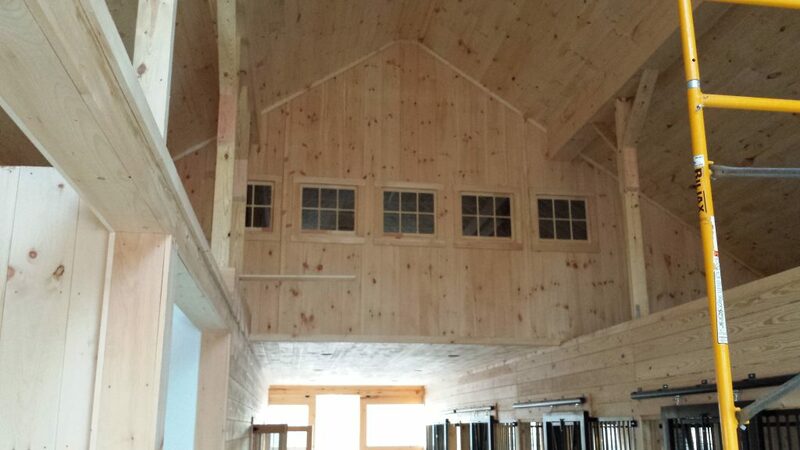 A half loft and ten dutch doors with windows were also added to make this structure an unforgettable one. 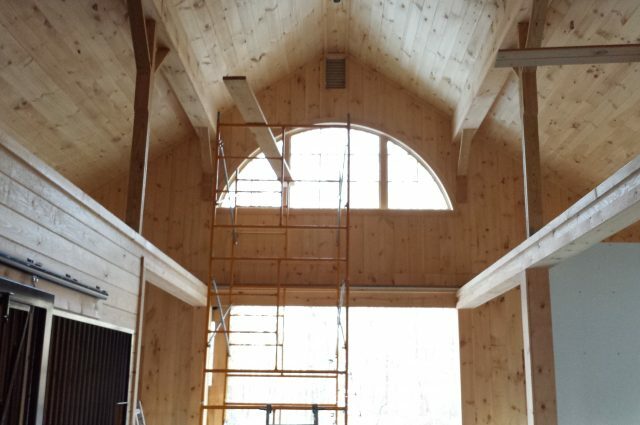 With many different types of windows, including ones in aisle doors, custom windows in the front and rear, and a half-round window in gable, natural light floods the space for a beautiful and open look. 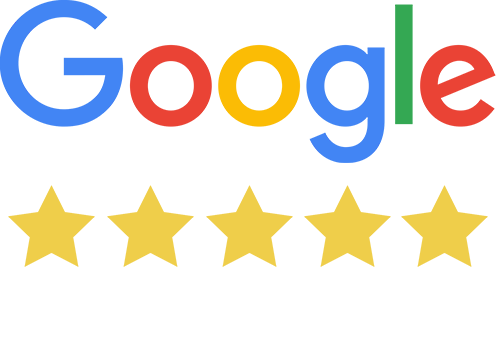 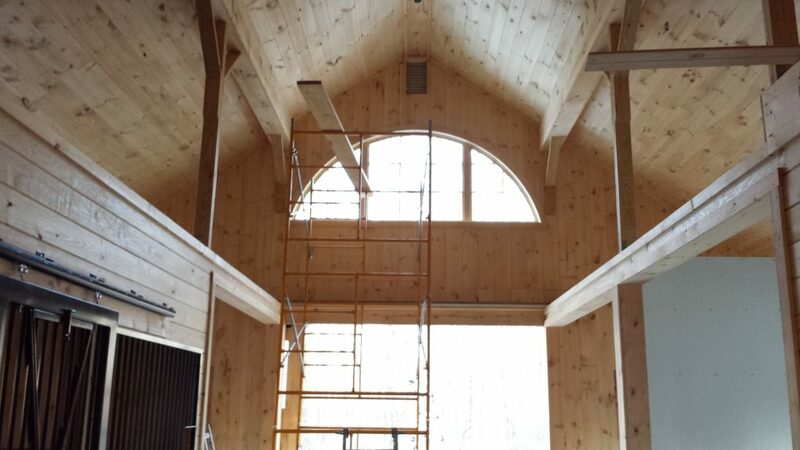 The Aisleway ceiling is lined with T&G boards and Polyurethane. 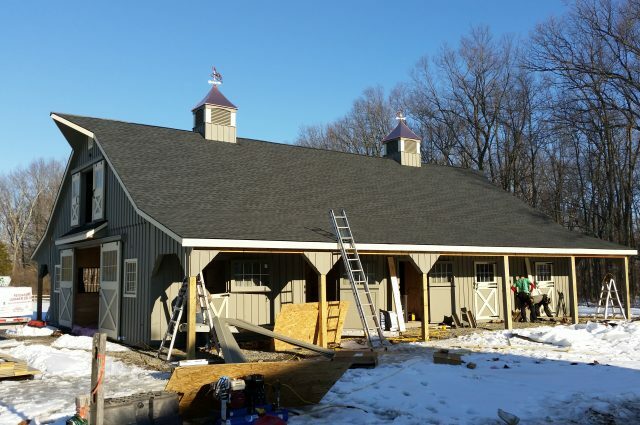 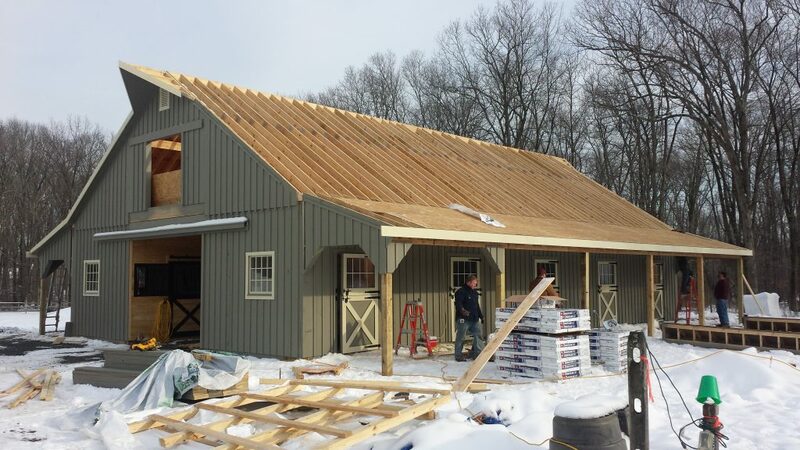 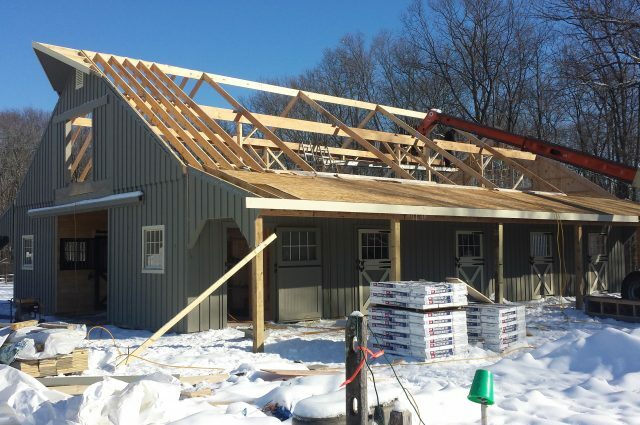 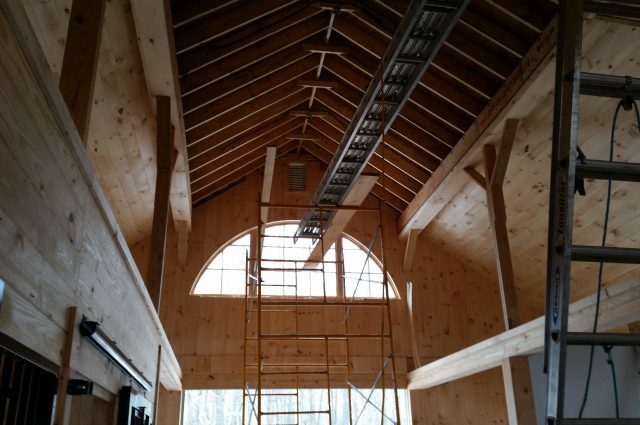 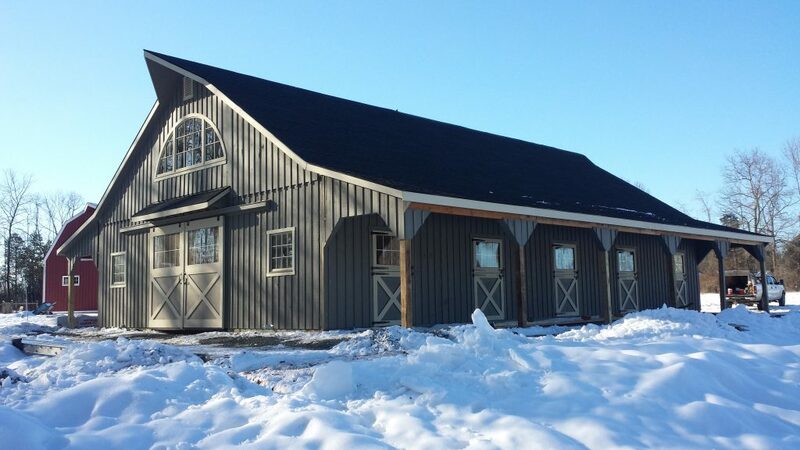 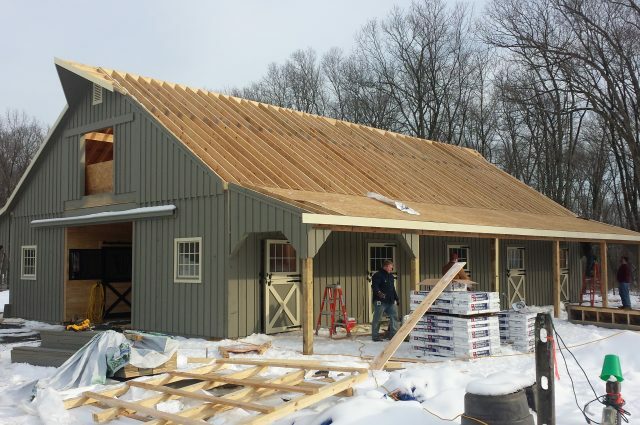 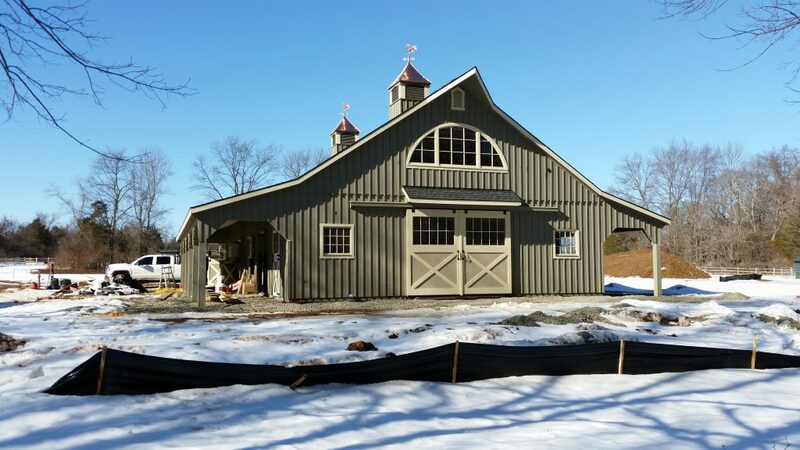 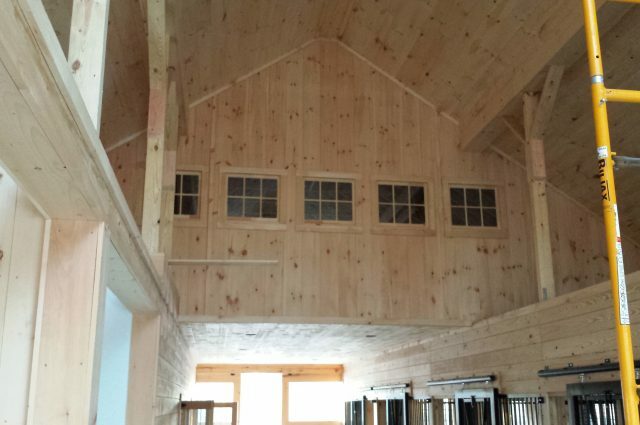 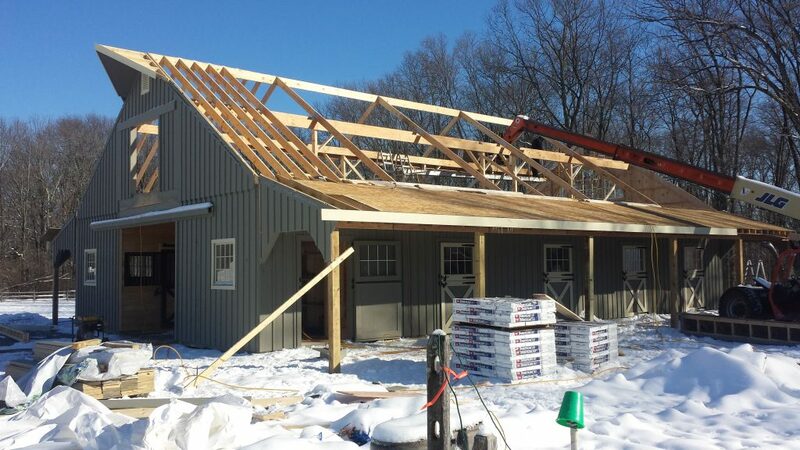 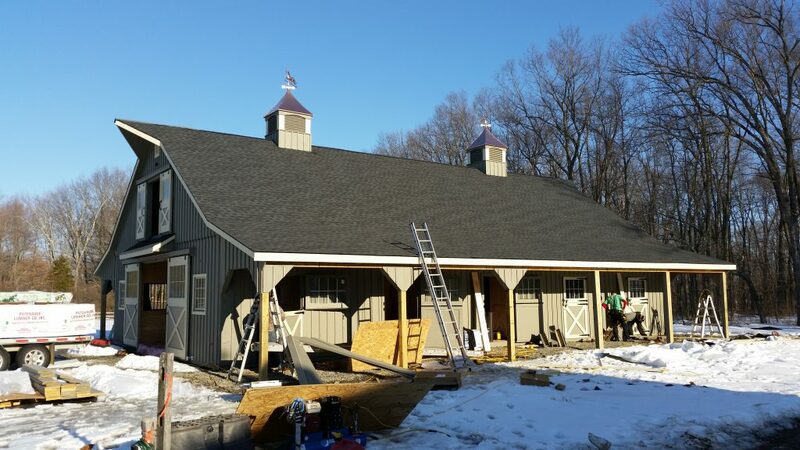 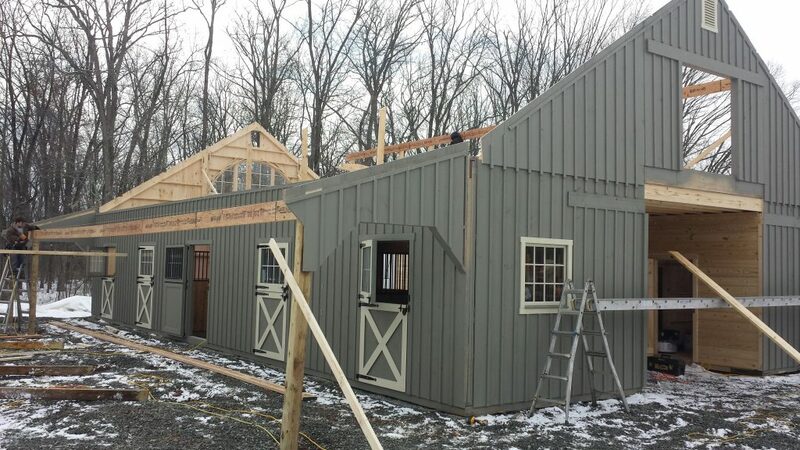 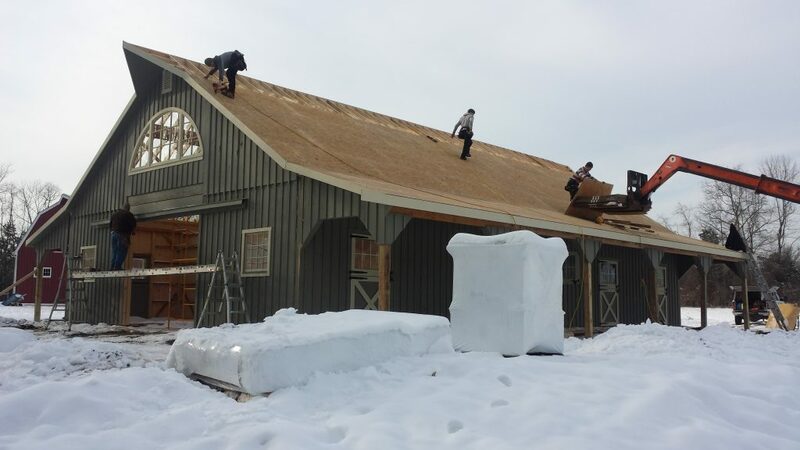 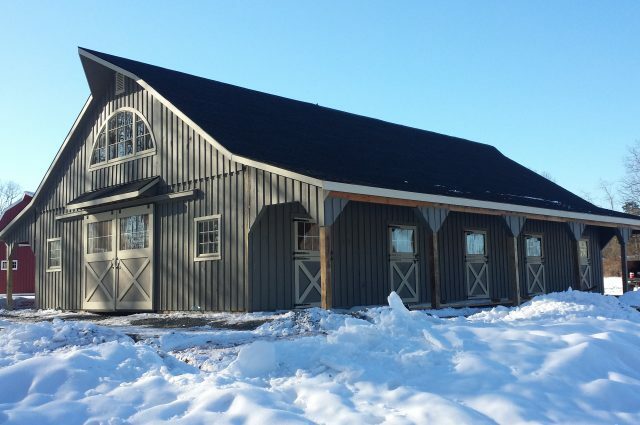 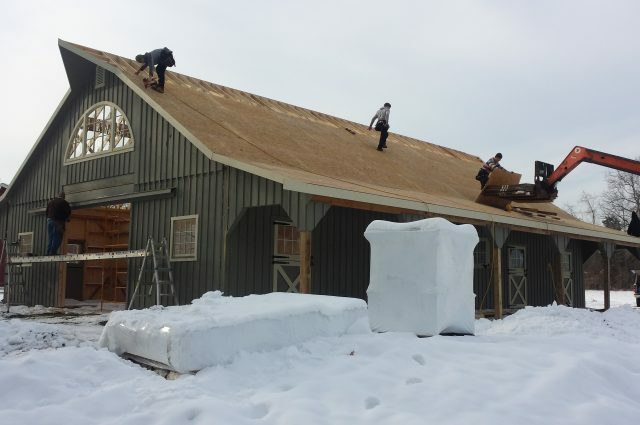 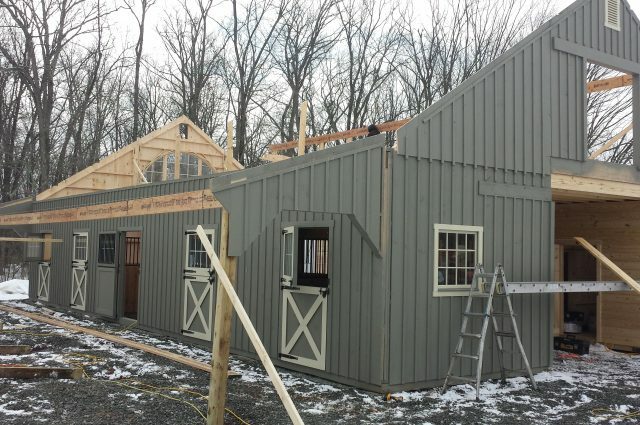 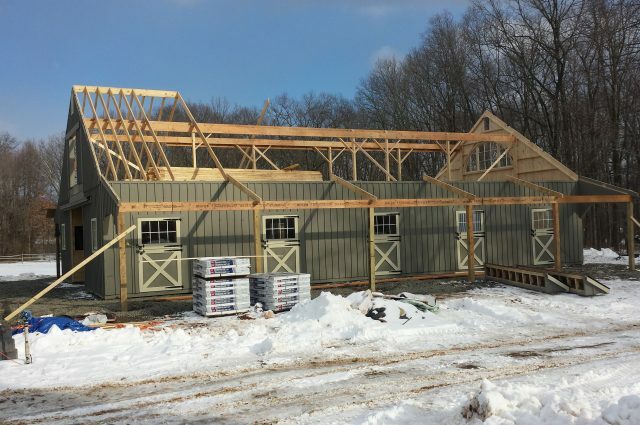 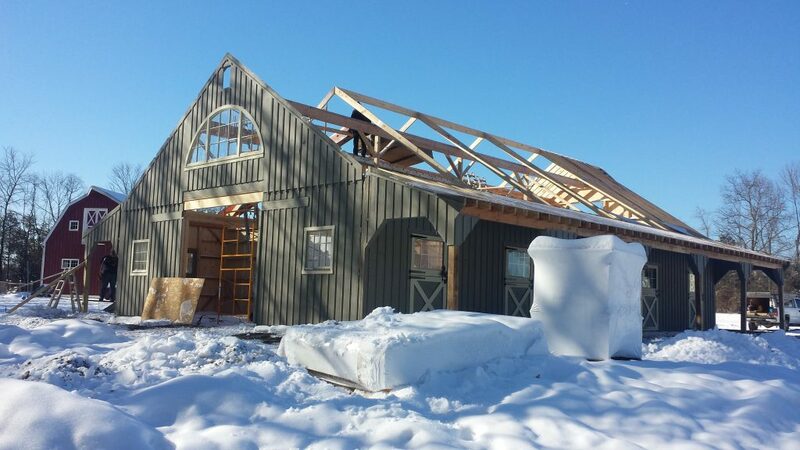 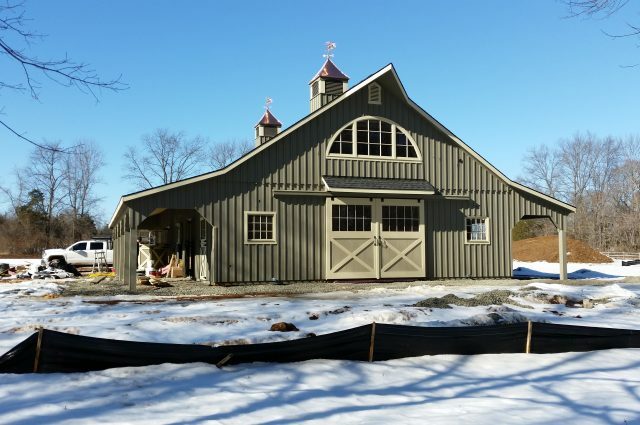 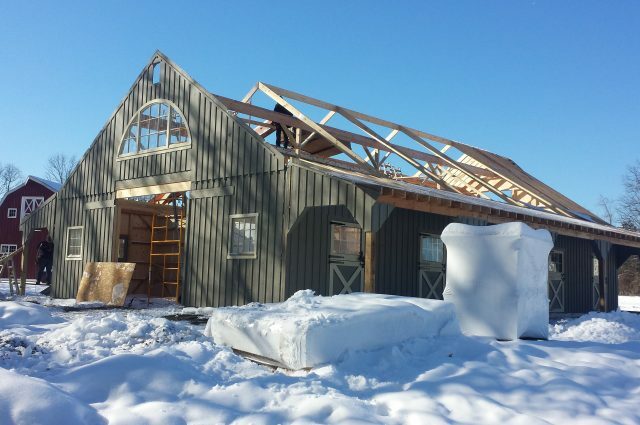 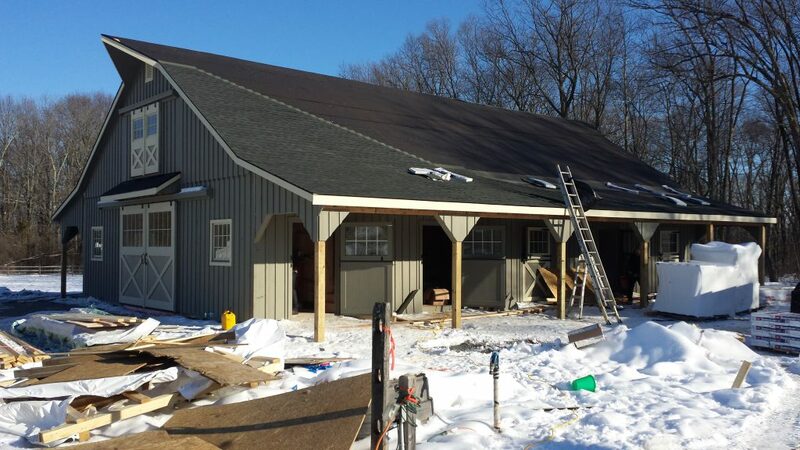 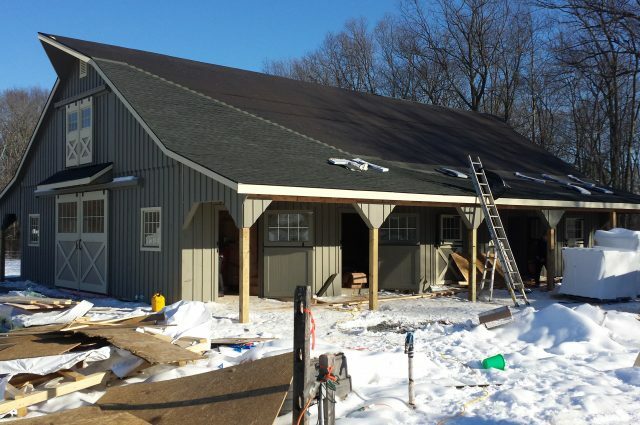 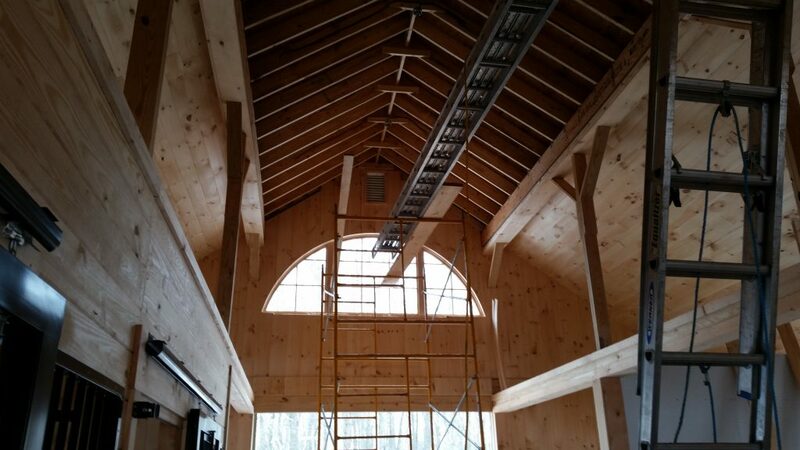 Extended peaks, gable vents, ridge vents, cupolas, and gutters finishes the exterior of the barn.